Circular Walks around Silsoe 6 at SilsoeWalking RouteA circular walk from the village of Silsoe taking you through the attractive surrounding countryside via Upper Gravenhurst and Clophill. Silsoe has over 130 listed buildings. 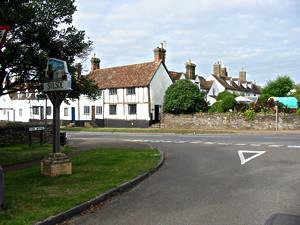 Silsoe is situated just off the A6 to the south of the junction with the A507 at Clophill. Parking is available by the side of Silsoe Church in Park Avenue. Please park considerately. This circular walks starts and finishes at Silsoe Church in Park Avenue. A circular walk from the village of Silsoe taking you through the attractive surrounding countryside via Upper Gravenhurst and Clophill. Silsoe has over 130 listed buildings.